« DIY Delicious is Here! Last fall, Greg tweeted that he’d be selling rice-paddy raised ducks at the Berkeley market if folks wanted to order ahead. I did. I picked mine up on a bright day in September or October. I have no idea which. It was frozen so I put it in the freezer thinking I’d cook it within the month. All sorts of crazy life stuff ensued, including a move. The duck, of course, came with me to my new home and took up residence in my new freezer. Sitting there in my freezer all winter and into the spring, the duck took on a gigantic importance. It was a special duck. 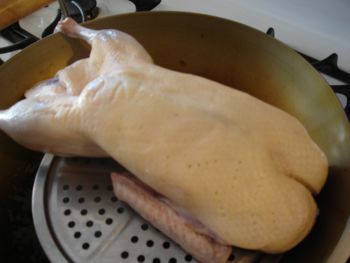 A Massa-raised duck. Not just any old duck. I had to DO something with it. Just roasting it would not do at all. I was waiting for an occasion. Finally Haven’s mother was in town and since the two of us had been meaning to cook a dinner together out of Niloufer’s wonderful book, My Bombay Kitchen, we decided it was time. Only problem is that there wasn’t really a recipe for a whole duck in the book. Improvisation was in order. 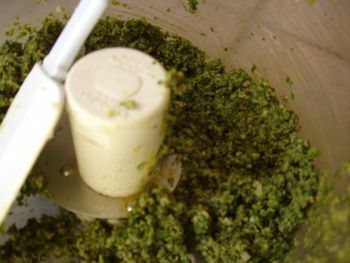 I decided to make the Green Curry Masala (page 135) that Niloufer says is versatile enough for lamb, brains, or chicken. 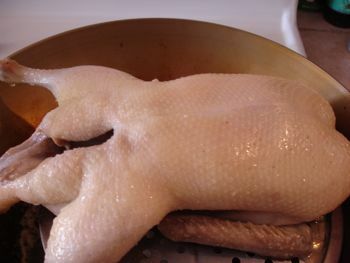 My thought was to rub the duck with ginger garlic paste (page 36) and steam it for 15 minutes to render the fat. Then I’d rub it with the masala and roast it. 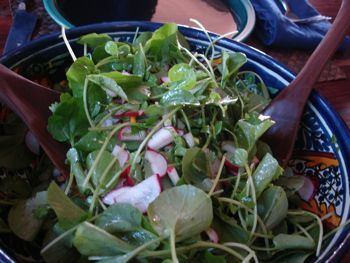 I also made the Watercress and Turnip Salad (page 215). 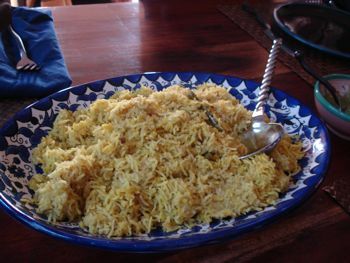 Haven made a variation on the Fresh Turmeric and Ginger Pickle (page 234) and her mother (appropriately) made Mother’s Khichri (page 165). Sorry about the white rice! We didn’t use the Massa Rice. All went swimmingly. In the end I decided the duck needed a little sauce so I whisked together some white wine, butter, and Green Curry Masala and we spooned it over the duck. Four of us picked that thing clean. It looked as if buzzards had gotten in and taken up residence at the dinner table. The appetizer was a real coup. 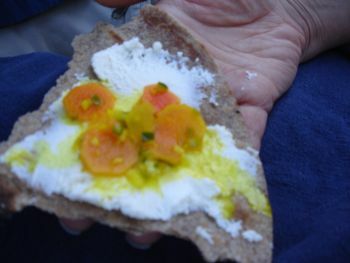 Instead of flatbread we ate the pickle with Cowgirl Fromage Blanc (they were out of paneer) on toasted Massa Whole Wheat Tortillas. I’m hoping for another duck this fall. Greg: are you listening? 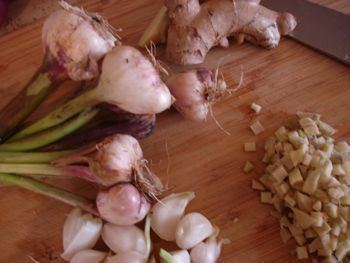 Just before steaming. Steamer insert rigged up in wok with foil covering it for 15 minutes. 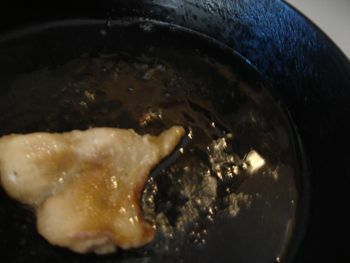 Rendering fat to use for roasting potatoes. 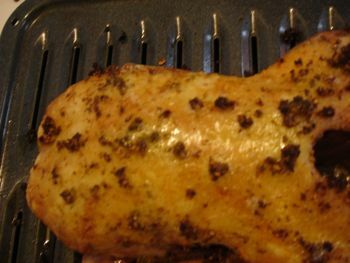 After roasting. It wasn't that pretty but it sure was good. PS: 1 duck is barely enough for 4 people. This entry was posted in Asian, Books, Food and Drink, entertaining, from the market. Bookmark the permalink. Post a comment or leave a trackback: Trackback URL. Me and my girl can lay waste to a duck given the right mood and atmosphere…I know what you mean. White rice…it might not be so bad. Some nutritionists think you digest it a lot better than brown and it also doesn’t contain phytic acid which can block nutrient absorption. On the other hand, there was just a big study showing people who eat white rice more than 5x a week have higher rates of diabetes than those who ate brown rice 2x/week.